The "Adventures in Citizenship" speak-off takes place in the spring of each year at the Holiday Inn with speakers from high schools in the St. John's area. Adventures in Citizenship is a national program sponsored by the Rotary Club of Ottawa that brings together, in Ottawa, a select group of young Canadians so that they can learn to appreciate the diversity of our country as well as the privileges and responsibilities that go along with citizenship. The program provides a unique opportunity for participants to meet their peers from every other part Canada and to discuss and debate with them issues facing Canada today. It also gives participants an opportunity to see behind the scenes at many of our National Institutions, an opportunity that is not available to either visitors or residents of the National Capital Region. Through meetings with political leaders, senior officials and others, they are offered an opportunity to view directly, the workings of our federal government and to learn about our relationships with other countries. 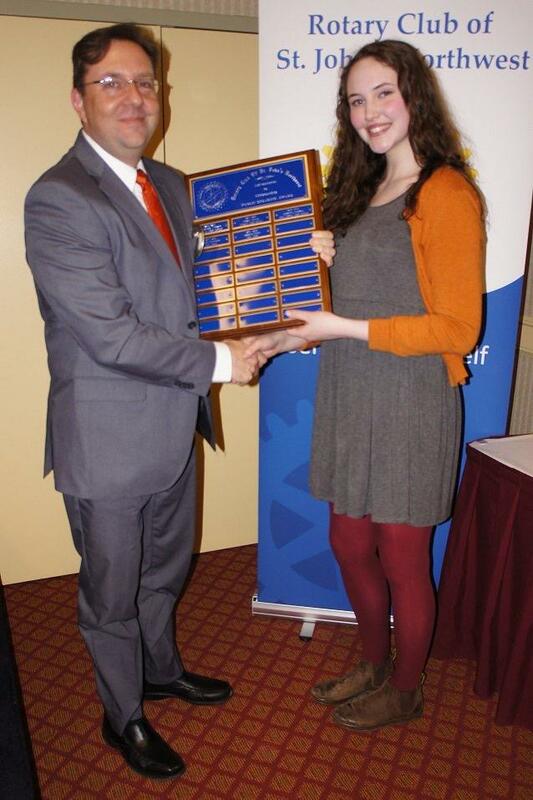 Each year the St. John's Northwest Rotary Club cooperates with the Rotary Club in Ottawa to sponsor one student from a high school located in the City of St. John's to travel to Ottawa and participate in their Adventure in Citizenship program. The student to be sponsored by our club is selected at a speak-off that is held at our regular Club Luncheon in March of each year. The student who places first in the speak-off will travel to Ottawa early in May, where he or she will meet with approximately 220 other students from across the country. Rotary will provide travel to and from Ottawa, as well as accommodations, meals and bus transfers while in Ottawa. Be a high school student with above average grades, who participates in extra-curricular activities and is between the ages of 16 and 19 years. Have excellent interpersonal and communication skills. Knowledge of a second language would be an asset but it is not essential. Not have visited the national capital in the past five years and be unlikely to do so before graduation, unless accepted for this program.